Some people look for robust flavor and an earthy aroma in their coffee. Some look for candy-store flavors and a mountain of whipped cream. And some people, like Moraga native Kate McMahon, look for a little social responsibility. "My main goal is helping people become aware that just changing what cup of coffee they drink in the morning can make a difference," McMahon said, sipping a cup of fair-trade coffee earlier this month at Moraga's Caffe Terzetto. McMahon returned home this summer after graduating from Occidental College with a bachelor's degree in psychology and decided that her hometown was ripe for a little social change. So, while she looked for employment, she also launched a fair-trade coffee campaign aimed at convincing businesses and residents alike to start sipping and serving java that is purchased from coffee farmers at a fair price. That price is at least $1.26 per pound -- a big increase over the 30-50 cents per pound that farmers usually make, said McMahon, 22. The fair trade certification also means that a farmer employs environmentally sustainable practices and doesn't use forced and child labor, while buyers deal directly with the farmers, cutting out the middlemen (called "coyotes" in Latin America) who typically absorb much of the profits on the free market, she said. McMahon, who was introduced to the fair trade concept in a college class and turned to the Internet to learn more, started by approaching local cafes. Within a few weeks, she had convinced Terzetto's owner to switch her entire stock of coffee products to fair trade, without raising prices. Other businesses and groups have been slower to get on board, but McMahon still has big plans for the town. She wants to work with professors at St. Mary's College to incorporate fair trade into their classes, and eventually switch the college to fair-trade coffee, and she plans to lobby the Moraga Town Council to either encourage fair-trade coffee use in town, or at least serve it at their own meetings. Moraga isn't a progressive haven like Berkeley, but McMahon said she figured the fair trade movement was perfect for the town. "I thought the coffee campaign would be really good, because I felt like if I had come here with a different campaign like 'Save the animals' and 'Don't buy fur,' it wouldn't be as effective as, 'All you need to do is change your cup of coffee,'" she said. 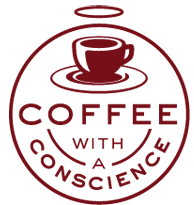 Fair trade coffee accounts for about 2 percent of the coffee sold in this country, which puts conscientious coffee drinkers like McMahon solidly in the minority. But she's also part of what fair trade advocates call the fastest growing sector in the coffee business, with U.S. sales increasing from $48 million in 2000 to $369 million in 2004. These days, coffee drinkers can get fair-trade coffee at national coffee chains such as Starbucks and grocery stores such as Safeway. Even McDonald's jumped on the fair trade bandwagon this fall, offering fair-trade coffee in some of its New England restaurants. Advocates say that fair trade retailers are able to keep prices down by cutting out the middlemen, and note that in recent years fair-trade coffees have won awards for taste. Most importantly to many, the movement has generated an extra $67 million in income for coffee farmers since 1998, according to statistics from Oakland-based TransFair USA, which certifies fair trade products. Critics say that fair trade interferes with the free market, offering artificially inflated prices that hinder the market forces that usually control supply. Fair trade certification groups like TransFair even sometimes come under fire from the activist community, TransFair spokeswoman Nicole Chettero said. Some grumble about "green washing" -- when a company switches a small percentage of its stock to fair-trade to take advantage of the good PR. But even a small percentage of sales from a coffee giant like Starbucks translates into a lot of extra dollars for coffee farmers, Chettero said. Fair trade certified coffee was just 1.6 percent of Starbucks' coffee purchases in 2004, but that amounted to 4.8 million pounds of coffee, which was more than double the amount it purchased in 2003, according to a Starbucks report. "We see things from the position of the farmer," Chettero said. "We want to increase as much fair trade revenue as possible, so we see the dissemination of fair trade products in mainstream as helping." For McMahon, the decision to drink fair trade was easy. She says that the time she spent in a Buddhist monastery over the summer helped make her more aware of her connection to the rest of the world, including all the work that goes into her morning cup of coffee. She is used to finding practical applications for her principles, steering clear of stores like Wal-Mart, buying sweat-shop-free clothes, and recently moving into an eco-friendly house in Walnut Creek. "I try to keep myself to a standard of valuing other people and trying to live by those values [with] what I buy and all that stuff," she said. "I felt like I was being hypocritical going and drinking coffee that was made by child slaves."